Napa, CA – The Culinary Institute of America (CIA) at Copia, the ultimate Napa Valley destination for exploring, experiencing, and enjoying the world of food and wine, is bringing new classes and seasonal themes to its instructional calendar. From families to wine foodies, attendees will find something for every age and experience level. Among the newest culinary topics are ramen, dumplings, and truffles, with seasonal classes focusing on Game Day, Valentine’s Day, and Mardi Gras. 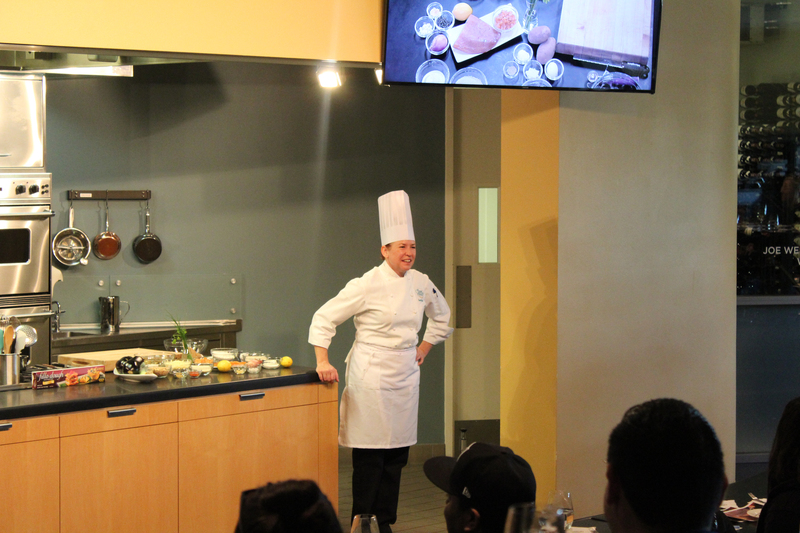 Taught by professional chefs, all CIA at Copia classes are open to the public and require no advanced skills. A partial list of classes being offering through March is listed below. A complete list of class descriptions can be found online. Classes run from one to three hours and are priced per person. More classes are added monthly. An intimate, interactive dinner event where guests can ask questions, relax, and enjoy delicious food and beverage pairings in an up-close-and-personal venue. *New* California Bounty—Jan. 27 at 5 p.m. Seasonal A Winter Feast of Truffles—Jan. 12 at 5 p.m. Seasonal Valentine’s Day Dinner—Feb. 10 at 5 p.m.
Master some of the culinary world’s biggest secrets and walk away with pro skills. *New* Soups with Flair—Jan. 19 at 3:30 p.m.
*New* One Dish Favorites—Feb. 7 at 1:30 p.m.
*New* Trendy Desserts—Feb. 14 at 1:30 p.m. and Feb. 23 at 3:30 p.m. Seasonal Super Game Day Snacks—Feb. 3 at 3:30 p.m. Seasonal Mardi Gras Delights—Feb. 6 and Feb. 10 at 1:30 p.m.
Additional Chef’s Classes include Homemade Fresh Cheese, Fun Finger Foods, and CIA Farm-to-Table. These interactive, family-friendly classes are offered every Sunday at 1:30 p.m. Taste six examples of sometimes secret, sometimes rare wines and learn about Napa Valley pioneers and visionaries. Feb. 9 at 6 p.m.
Other beverage and wine tasting classes include Classic Cocktails with a Twist, Napa Valley vs. The World, The History of Napa in 8 Glasses, and the visitor favorite, How To: Taste Wine in 90 Seconds. In addition to attending classes and demos, visitors will find much to do at the CIA at Copia, including food and wine events, dining, book signings, and browsing culinary and wine collections. Shoppers won’t want to miss The Store at CIA Copia, featuring an extensive collection of cookbooks by CIA faculty, alumni, and guest chefs, as well as artisanal food products, cookware, glassware, one-of-a-kind pottery, and more. The Restaurant at CIA Copia is a destination for innovative, market-based, globally inspired, California cuisine that pairs perfectly with Napa Valley wines and craft cocktails. Throughout the property, guests will find culinary artifacts, museum collections, and one-of-a-kind sculptures, which are open to the public and can be viewed at no charge. The Chuck Williams Culinary Arts Museum and a state-of-the-art teaching kitchen are slated to open in 2018.